"Rock Reports.......and here's the scoop"
A beautiful fall day, what's not to like? An outdoor practice in November, followed by a few quick photos for good measure. 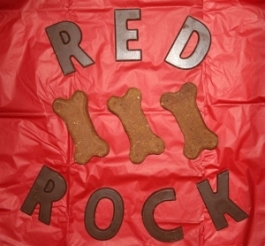 The Red Rock Dogs rocked all summer and made us proud! Well, where do we start?? 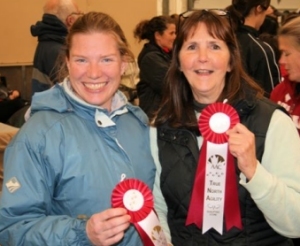 True North's last trial of the 2011 season, provided many "firsts" for some Red Rockers! "First" of all, we crossed the Confederation Bridge and the "first" of the fun began!! We celebrated our "first" Red Rock Chocolate Pot Luck......WOW!! Not only was the weekend "first"-rate, we learned "first"-hand that our "first" trial together is the beginning of many more to come!! During our "first" travels together, the laughs were never-ending! We chanted, we prayed, we cheered, we shared stories, and we learned a new language.....a "first" for everyone! It was great to see old friends, and meet new ones. 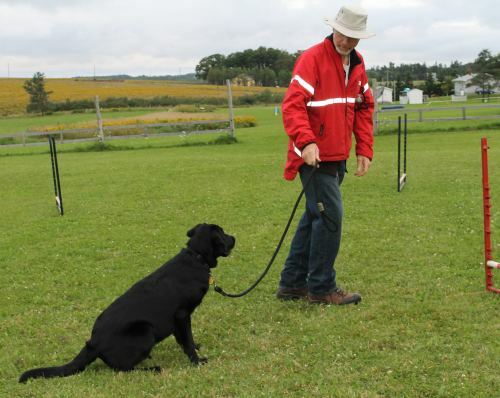 A huge thank-you to John and Lorna for hosting such a fantastic trial. We will be the "first" to enter in 2012!! 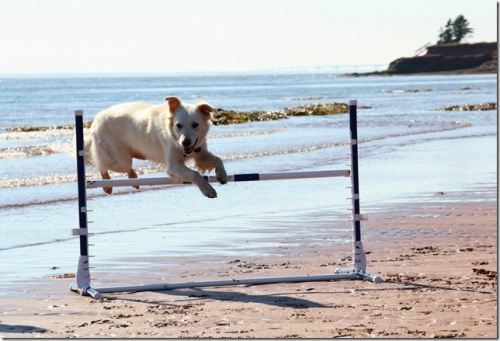 It was another busy weekend for some of the Red Rock Dogs. 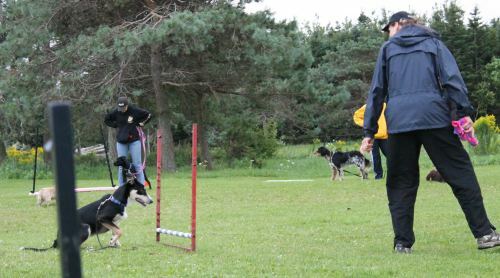 John MacKinley of True North Agility was back instructing to an eager bunch of dogs and handlers. Even though the weather showed us some wind and showers (the forecast said sun and cloud! ), that didn't deter the fun, as we worked the patterns and courses. We hated to see the seminar come to an end, so we booked John again for November 26th and 27th in case you'd like to join us!! 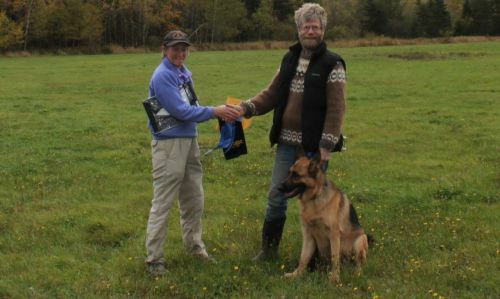 While some of our members were working on their handling skills this past weekend, one of our members was acquiring a hard-earned, well-deserved Tracking Dog Title!! Congratulations to Peter and Gaia for their accomplishment. 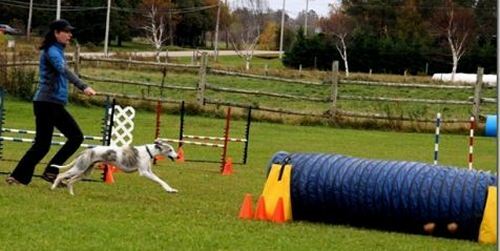 Now, get yourselves back to agility!! Have you ever heard of Lord's Seaside Cottages?? WOW!! 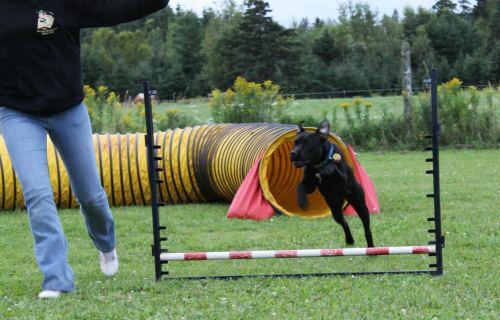 A few Red Rock dogs had the pleasure of playing agility there at the end of the summer, and they were all smiles. A huge Red Rock thank-you to Nalan for inviting us, and to the owner, Elayne Lord, for letting us enjoy an afternoon of playing at "Lord's Seaside Cottages". Yes, they are a dog friendly place to stay!! What's the best way to spend a fall day? 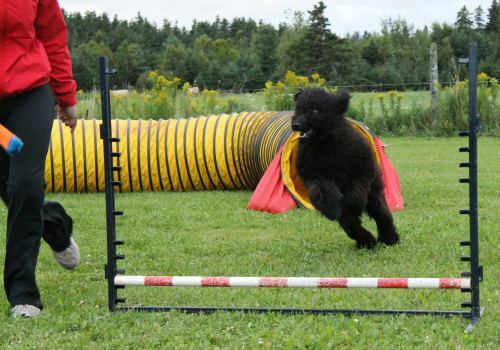 An agility Fun Trial with friends!! On October 1st, a few of the Red Rocker's were seen sporting big smiles, and fancy rain gear! 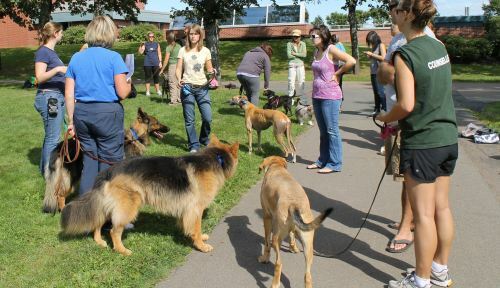 The rain didn't dampen anyone's spirits as we gathered with old friends, had a few laughs, and enjoyed our dogs. Many many thanks to Victoria and Pierrette for organizing this fundraiser, and making everyone feel at home. We had a blast! 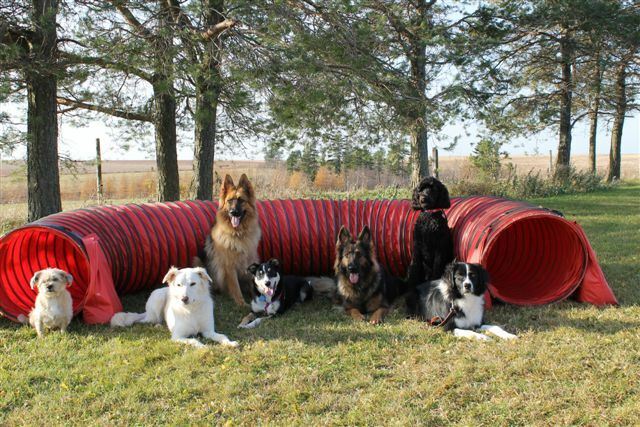 The dogs all enjoyed the change of scenery, and had fun playing Susan Garrett's Crate Games while we were there. Keep us posted on the next event! 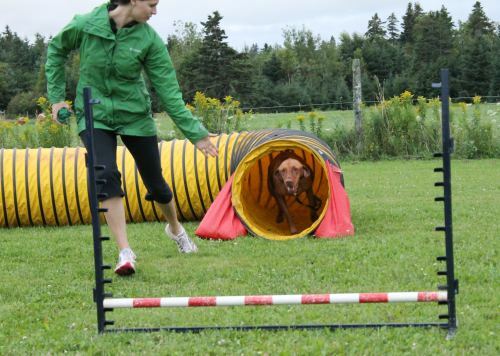 Recently, many Red Rock Members were invited to provide an agility demonstration for the Canine Club at the Atlantic Vet College. We would like to thank our member, Susan Taylor for the invite, and for organizing the event. 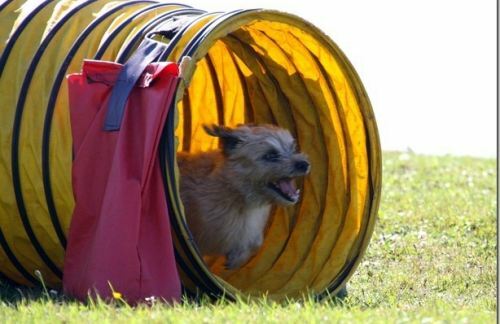 It was great to meet everyone, and enjoyable to watch the Canine Club members teach their dogs the fun of learning the tunnel! Keep up the good work! 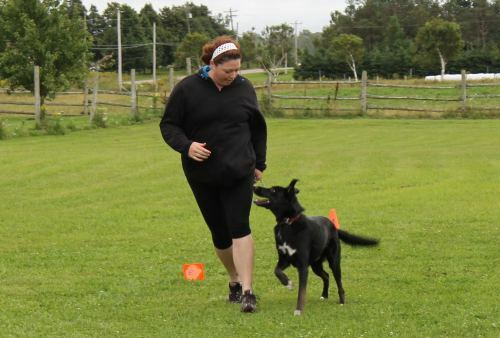 The members of Red Rock Agility would like to wish a heartfelt farewell to fellow members, Megan, Craig, and Axel as they make their way to Ontario for a couple of years to pursue studies. We will miss you greatly!! 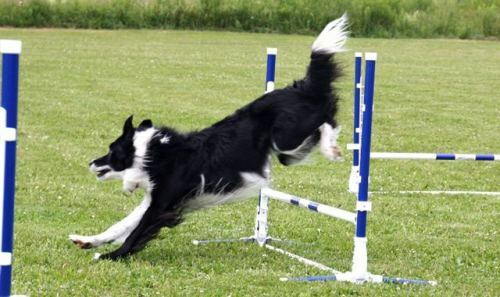 All the best for your schooling, but don't forget to take some time for some fun........agility!!! 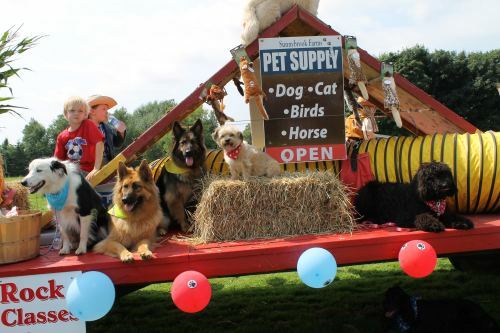 Recently, a few Red Rock dogs were spotted in the Kensington Harvest Festival parade. 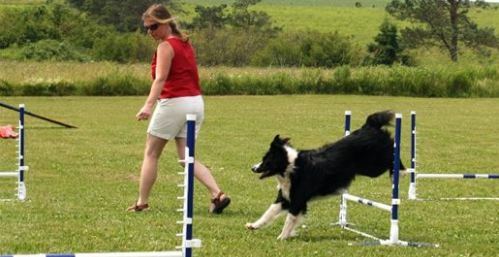 Sunnybrook Farms Pet Supply and Red Rock Agility teamed up to take part in this annual event. The kids and dogs were a hit as we weaved through the streets of Kensington throwing candy and having fun. Thanks to Greg Donald for all the efforts in getting the float organized and decorated. Look for us again next year!!! Quite simply, we had FUN!!!!!! 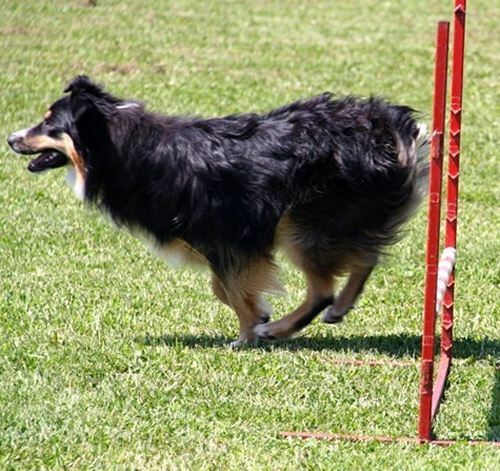 On July 21, 2011, the Red Rocker's were invited to the AVC Vet Camp for an agility demonstration. We were greeted by an eager bunch of student campers!! 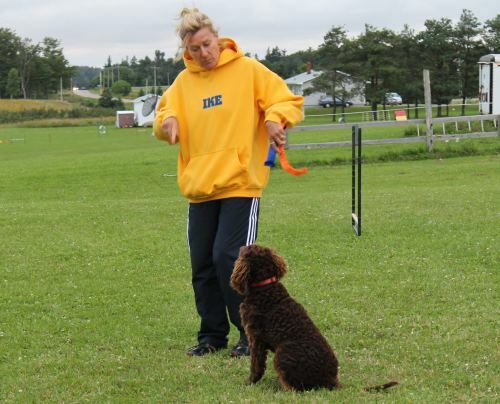 Lady, Hunter, Haley, and Henry demonstrated their agility skills, and made many new friends amongst the campers. 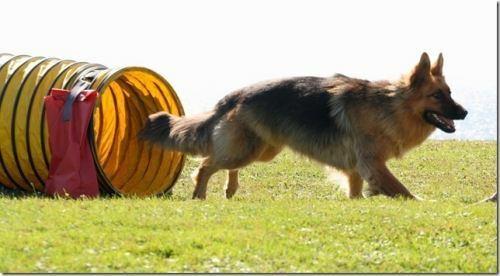 A fun-filled relay race finished off the session as the dogs and students were put through their paces against the clock! Many thanks to Nalan and Samuel for all the help and extra hands to make the demonstration a success! We had so much fun during the first seminar, that we decided to do it again! 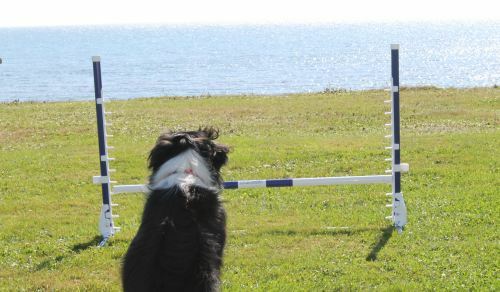 A hot sunny day with a true Island breeze was the perfect outdoor setting for another information-filled day of agility training!! Rebel made a guest appearance, and demonstrated new skills for us to work on. Thank-you John and Rebel. Thanks to everyone who took part. We look forward to honing our skills. Who knows? 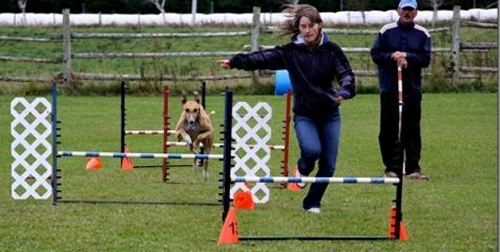 Perhaps you just may see some of us in the trialing ring in the months to come! 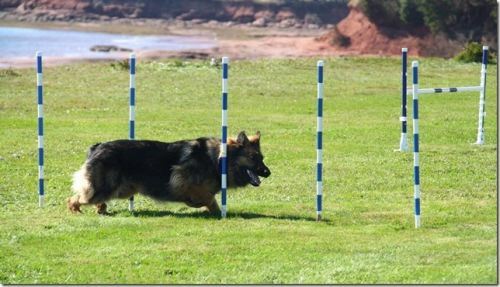 "John MacKinley of True North Agility was back on PEI!" 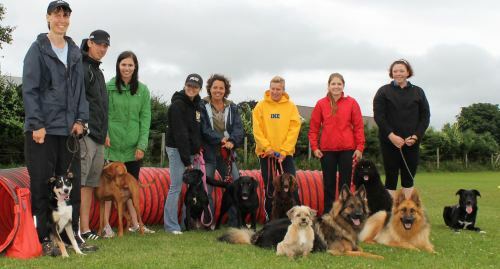 An eager bunch of dogs and handlers were excited to take part in the first seminar of 2011, held at Venture Stables, Freetown, PEI. Sunday, May 8th was a busy day of learning and fun! This seminar was full, and we loved having you come and audit.